Update: Capcom has issued a DMCA Takedown on the leaked images and has requested they no longer be hosted. The images have been removed from this article. Oops again! 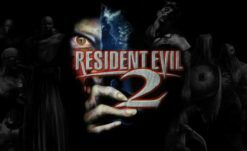 It seems that yet another leak on Resident Evil 2 Remake has come out, this time courtesy of Metro.co.uk. One of their writers over at Gamecentral recently spent some time hands-on with the game and is happy to report that it is as excellent as expected. Unfortunately, they were a little too happy to report it, and the article has been taken down for the time being. It’s easy to guess that it probably wasn’t supposed to go live yet; hopefully, it will publish again soon. When it does, you can check it out here. Before Metro could take the article down, a few eagle-eyed fans downloaded the included images, one of which features the lovely miss Ada Wong as a playable character. Snazzy red dress and razor-sharp bob aside, Ada doesn’t seem to be having much fun. Neither do any of her cohorts in the other leaked screenshots. Leon appears to have ripped his sleeve off to use as a bandage after being shot by Annette, and Mr. X is missing his hat. Maybe that’s why he’s so pissed off? 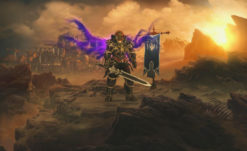 According to a post by Jawmuncher over at ResetEra, the article lays out some fun new details about the game. Leon faces a new enemy in the sewers reminiscent of a smaller William Birkin, complete with his mutated eye. It is possible this is the ‘G Creature’, a result of Birkin impregnating a human with the G parasite, which then hatches like a xenomorph. Happy nightmares, kids. 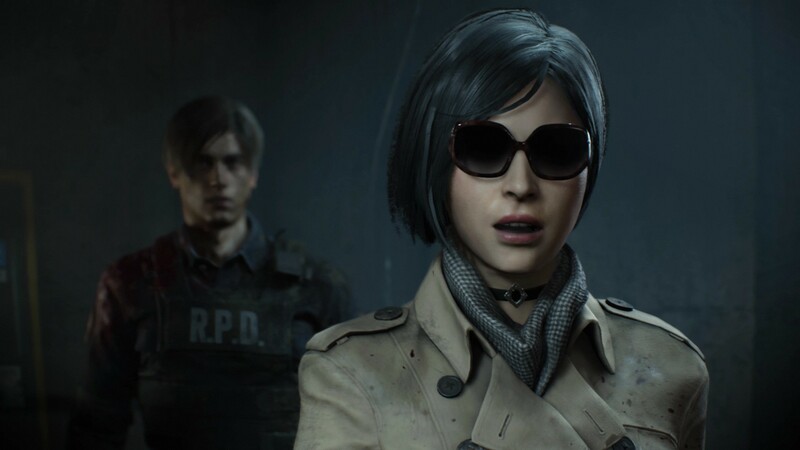 Ada is armed for the events of Resident Evil 2 almost as well as she dressed for them, wielding only a pea shooter that merely staggers approaching enemies. Mr. X, of course, responds to anything as though it were a pea shooter, soaking up bullets until he staggers momentarily. Once he recovers, he gets right back into his slow march through the halls, ever stalking his prey. Sherry, too, is playable. Her story takes place in a new area called the Orphanage, but returning players already know what enemy she will face. Speaking of returning enemies, the hands-on player reconfirms the giant alligator for Remake. That’s all we have until the article reposts, but I am sure Rourke will have an absolute field day breaking everything down once that happens. Stay tuned, and enjoy these screens until then.